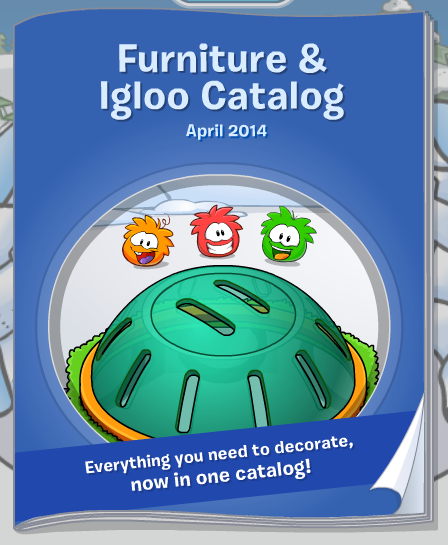 It's a new month and you know what that means....a new furniture and igloo catalog. We're already in April of the year 2014 and we've experienced so many parties. 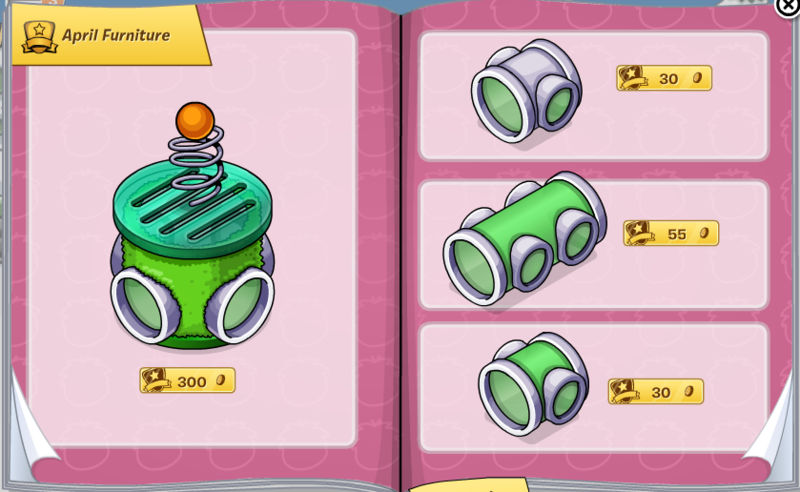 This month Club Penguin is hosting the annual Puffle Party. 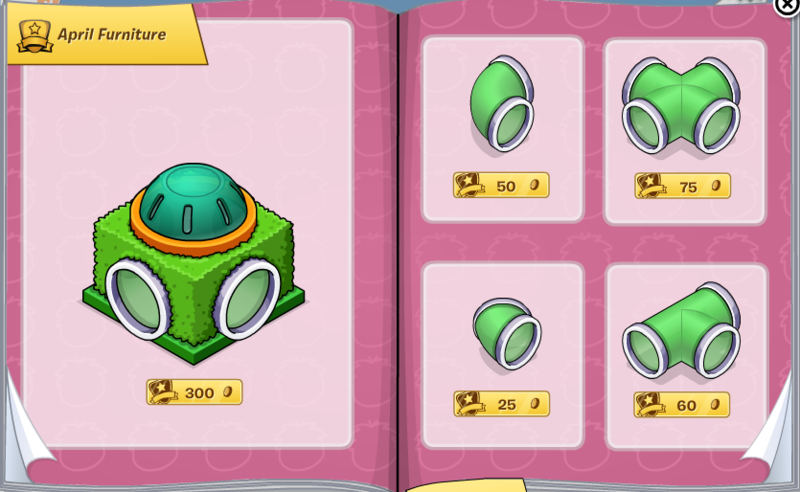 In this catalog Club Penguin is selling many puffle themed items and a cool puffle tree house so you can be in style when the Puffle Party starts! 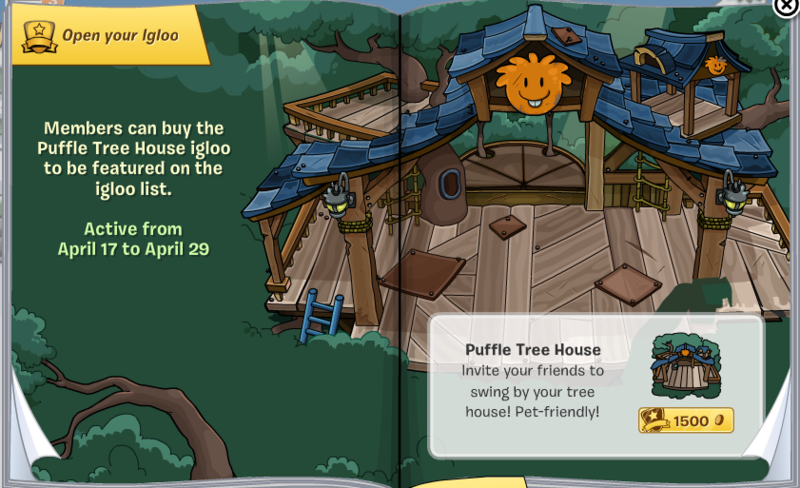 On the very first page you will be able to see the new puffle treehouse. I am really excited about this and I will definately buy it once I have enough coins. 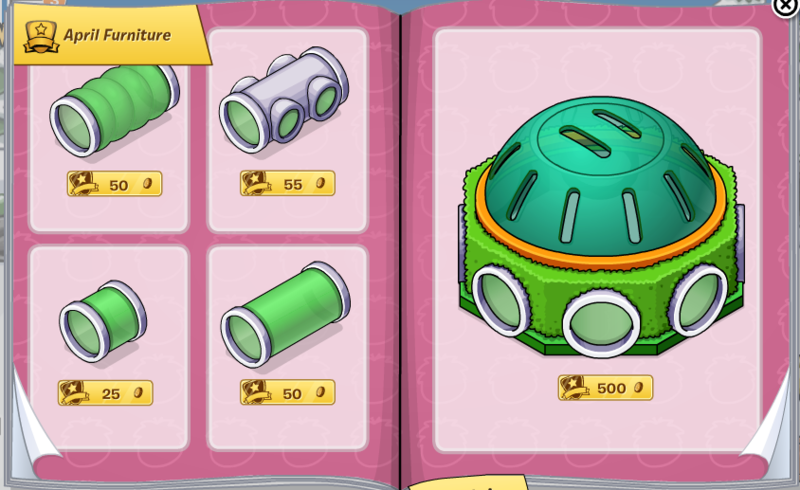 There are no cheats in this catalog so I will just show you the catalog.